If you’re a good handicapper of professional football or baseball, you may or may not be equally good at picking NBA games. In handicapping, each sport demands specialized knowledge about the sport, teams and more. Thus, just because you’re able to pick NFL games at a 60% success rate, it does not mean you’ll be able to do the same with NBA games. It’s important to watch the league draft. In handicapping, the NBA Draft tends to have less of an overall impact than the NFL Draft. 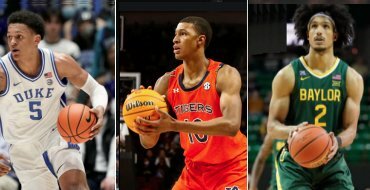 Usually the draft will offer as few as one and as many as five big impact players and then, generally speaking, various role players. Still, one major addition to a fairly weak team can make them a contender and a solid role player or two may bring a team up a notch, getting them into the playoffs. Of course, NBA handicappers also need to focus on any changes on a team’s roster. This includes retirements, trades and ongoing injuries. Age becomes a huge factor and a great team that starts to see some of its stars enter into their 30s may still have a good season but can certainly start to show their age as the regular season comes to an end and the playoffs commence. Monitoring NBA.com, ESPN, Fox Sports and other such sites is very important, and as the preview magazines come out in the late summer, team and fan sites and blogs need to be read too. There are four to six print magazines that are published prior to each season. These publications look at just about every aspect of each team, including the roster, coaching, ownership, rookies and more. Each will offer their predictions on what will happen in the upcoming season. Note—it is rare for any of these publications to go out on a limb. Most if not all will go with the favorite 99% of the time when predicting the outcome of the next season. Online sources will also offer team and season previews. Although these won’t help a whole lot in the day-to-day process that defines game handicapping, they will go a long way to giving you a solid foundation on which you can base your work. Read up on the NBA summer leagues to see which rookies are showing promise. You may find a diamond in the rough that could just outperform some of the higher draft picks when the regular season starts. Changes on pro basketball teams can be huge and can affect NBA handicapping a lot. New players can result in a altering of team chemistry, a new coach in a new system can create tensions as players try to adapt to a new way of thinking and playing and problems with ownership may destabilize a club. As an example, let’s say a large center who likes to set up on offense joins a team that loves to run and gun. Is he going to be able to adapt to his new team or is the team going to be asked to alter its style of play to fit the way in which he works? Something is going to have to give in this situation or what could happen is the club may end up in disarray. This means that NBA handicappers really need to understand each team’s style of play along with the manner in which each coach does his job. Are there any teams, due to trades, the draft or a promising year last season, that look to rise to a new level of play and break out of the pack? Are there others in decline? This is the time to look for and try to predict the unpredictable. Try to be ahead of all of those guys who write for the sports magazines and newspapers and who talk on the radio, web and TV. The NBA is the only professional sport in the U.S. where there is no wall or large space separating the players from the fans. People are right in the action and that means that they can get right in the officials’ faces. Some fans are a lot more vocal than others and some refs are more influenced by fan pressure than others. Read up on the officials, searching for those who tend to be “homers” and those who are not swayed by hometown energy and emotions. During preseason play, it’s not time to bet just yet, but it is time to do matchups, study games and put together some picks (for play money). Preseason games are very tough to predict since new players are being tried out, new schemes are being put into place and many of the vets are seeing less action then they will during the regular season. But you can start to get an idea about how good players, coaches and entire teams may or may not be. Be sure to monitor local news websites and read up on player interviews. This is especially important once the regular season starts. Are some teams starting to look and talk tired and are others getting a huge lift and ready to go on a winning streak? Has a key player been injured and although he may be playing is he less than 100%? How about that top team on the long road trip on the other side of the country? When is one of the weaker team’s from the other conference going to hand it to them? And if that happens, will that top team blow out the next club they face? These are the situations and scenarios for which you are looking. The NBA season is 82 games long and with 30 teams in the league that means there are 50 or so games to bet each week. But you can’t bet 50 games. This is one thing that makes NBA wagering so tough. You really need to figure out what are the best opportunities to bet NBA point spreads and over/unders during an exceedingly busy week. When you find a game with odds that you like, you’ll need to get down and dirty and do your matchups, comparing offenses and defenses and frontcourts and backcourts. Along with focusing on the players be sure to consider stats. These are huge indicators in pro basketball and in influencing NBA picks. Both team and individual numbers are very important. Who’s guarding whom, what mismatches exist and what coach will prevail are all viable questions? And don’t forget the home court—will it be a factor or not? With such a long season and so many teams, NBA handicapping can be a complex process. But it can also be very rewarding. Be sure to track how you’re doing and to analyze what you did right and wrong on each contest. Make adjustments throughout the season and stay focused on the game. If you do, you can stand to make money throughout a very long season and postseason. Listed to the right is some additional NBA betting information Maddux Sports has to offer. Bookmark our site as more NBA basketball betting info arrives daily. Click on any of the links to the right learn more about handicapping, odds, gambling, and NBA wagering in general. The 2 most popular pages in the NBA basketball betting section include the NBA Odds page where you can compare daily NBA game point spreads including moneylines and totals for the entire National Basketball League schedule. Our NBA picks page features info on the world famous NBA handicapping team at Maddux Sports. You can get signed up for our winning NBA sports picks as well as see the profits on average our clients accumulate following our expert predictions throughout the hoops season. 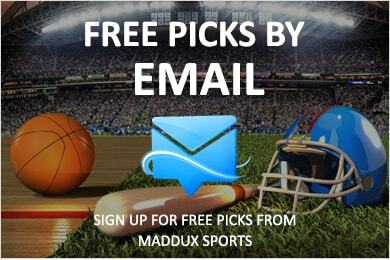 Return to Maddux's NBA Picks home page!